How about these for a change? Eco friendly Legos called Earth Blocks! As much as I love building structures, these only make it better to know that they are not made of plastic! 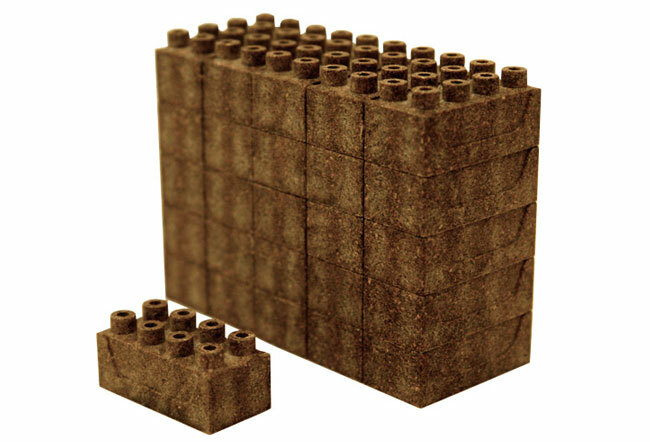 Earth Blocks are constructed from a composite of cedar tree bark, compressed dust from sawn cedar logs, coffee beans and just enough polypropylene to hold the bricks together, and from the sound of it must smell delicious. Unfortunately due to the environmentally friendly way the Earth Blocks are created, it’s not possible to provide a range of colours. As the colours differ depending on the ingredients used within the batches during production. 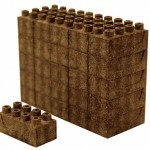 Earth Blocks are available to purchase at a cost of around $30 per 50 blocks. Each piece measures 1 1/4 in long x 5/8 in wide x 5/8 in high. Each set contains 50 pieces, and are made in Japan. Another Earth Like Planet Discovered! Next Logic3 Speakers are Expensive!